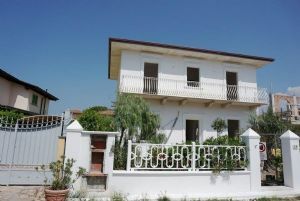 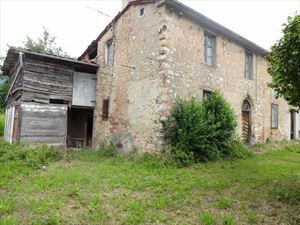 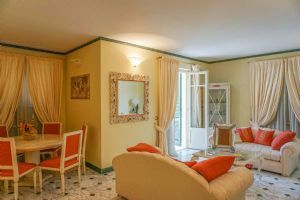 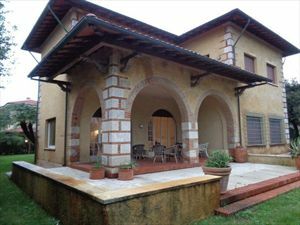 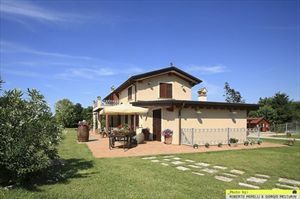 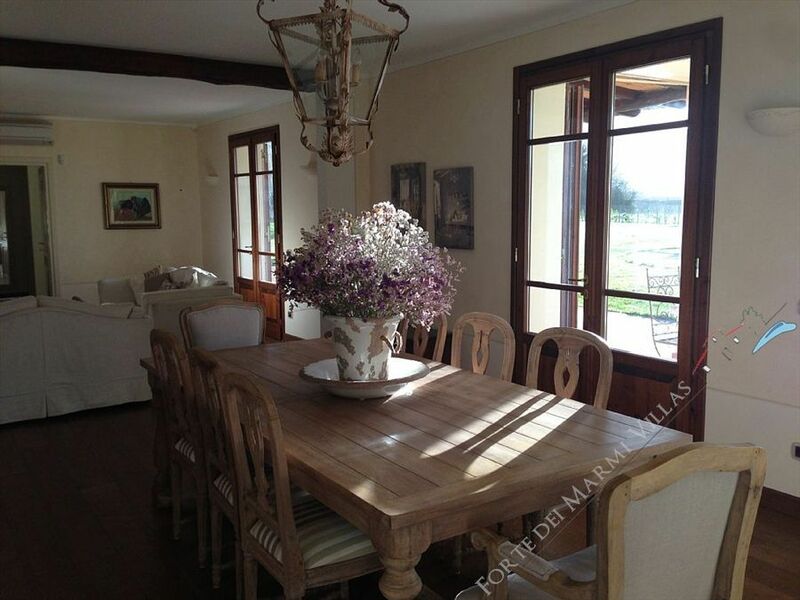 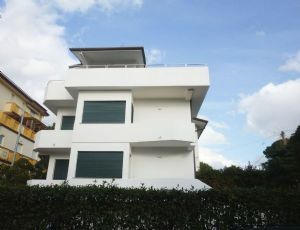 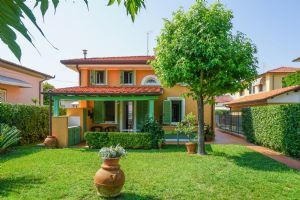 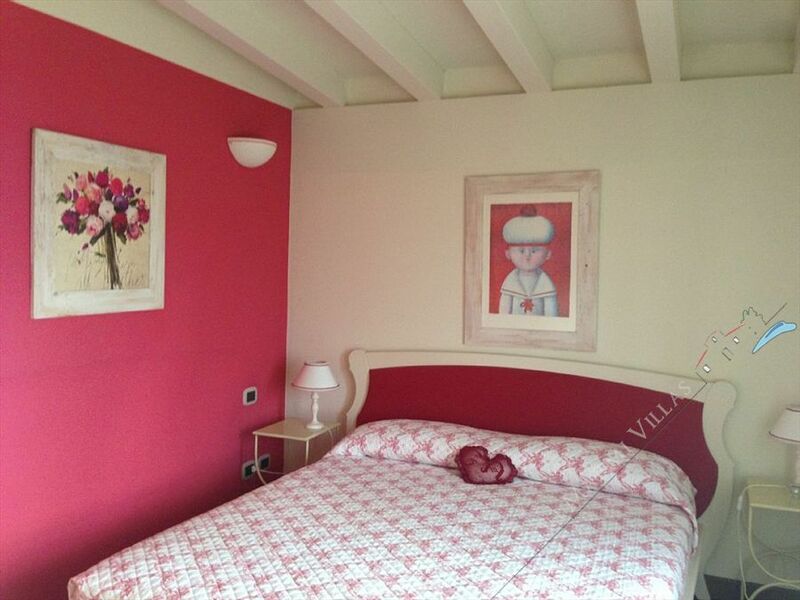 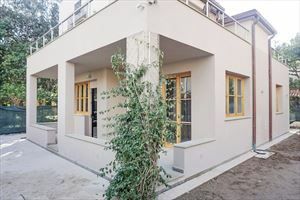 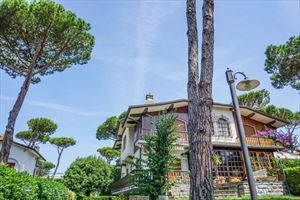 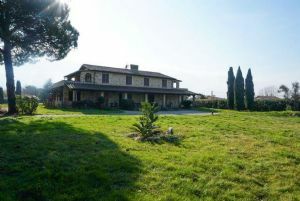 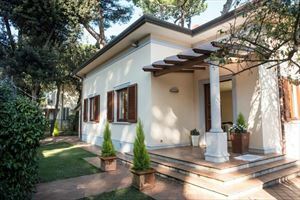 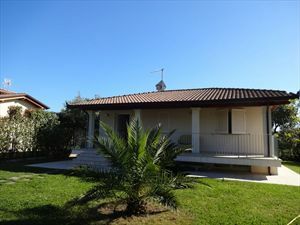 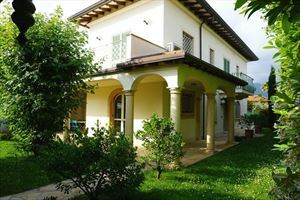 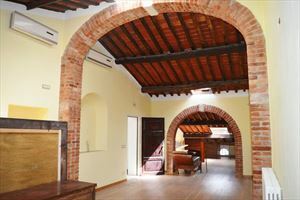 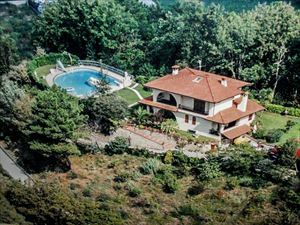 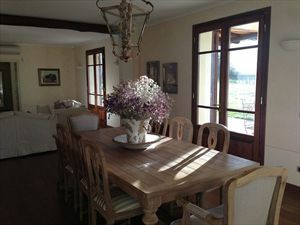 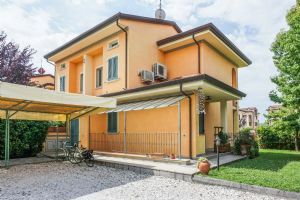 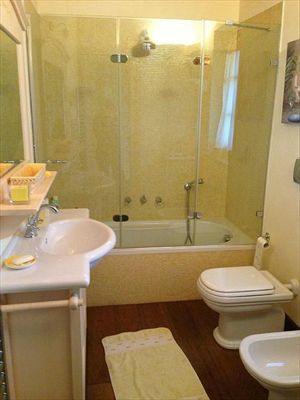 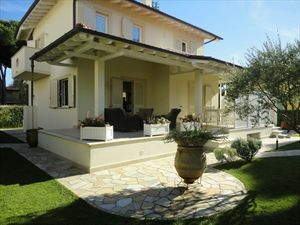 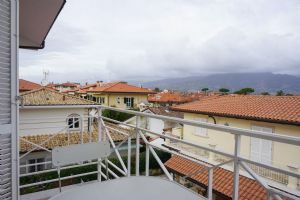 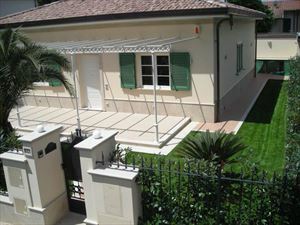 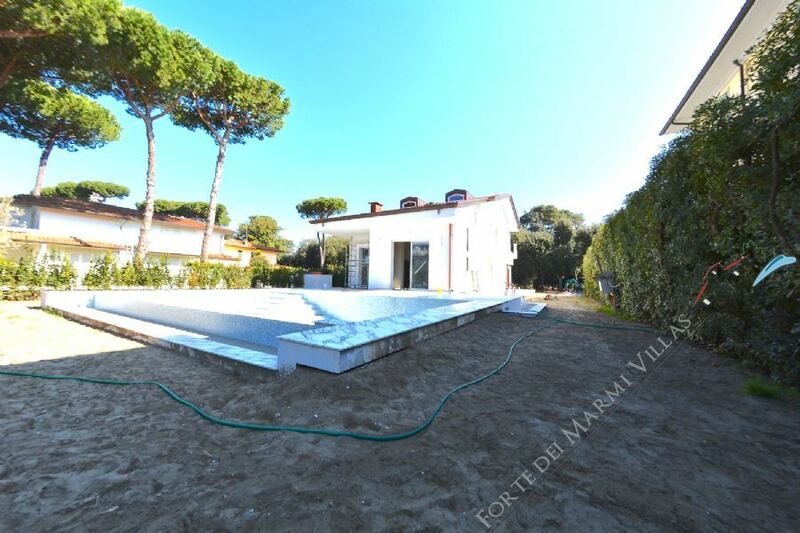 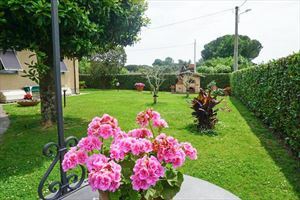 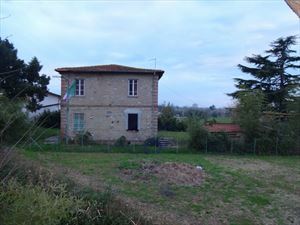 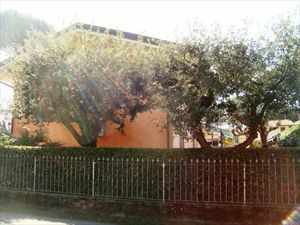 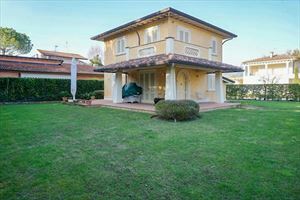 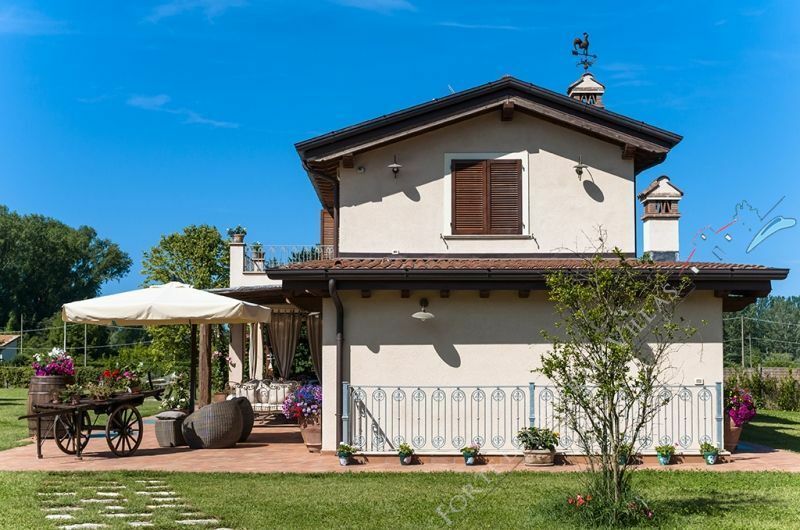 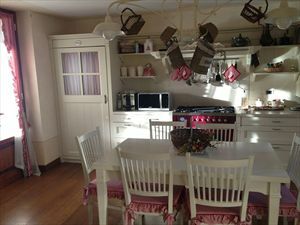 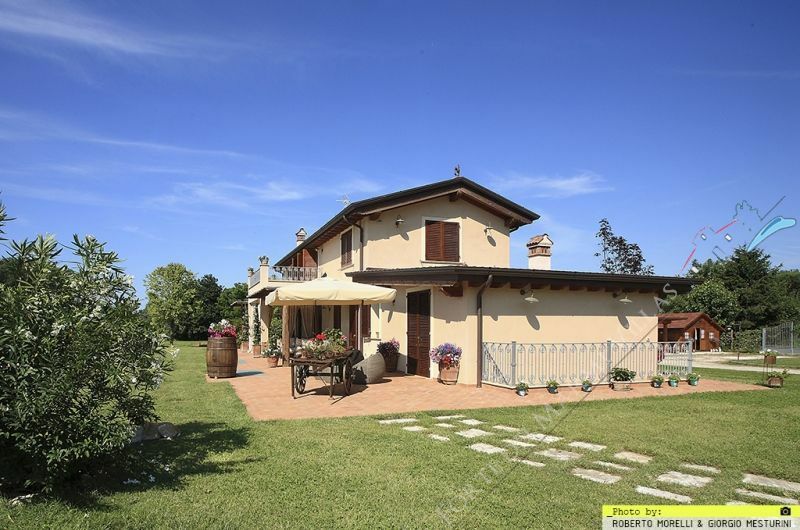 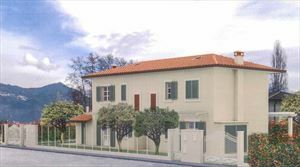 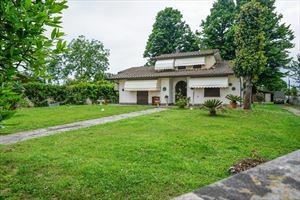 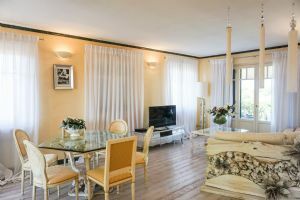 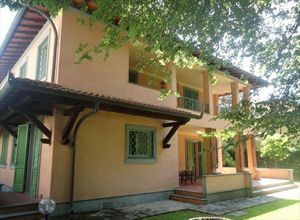 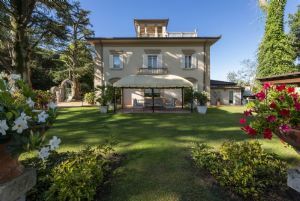 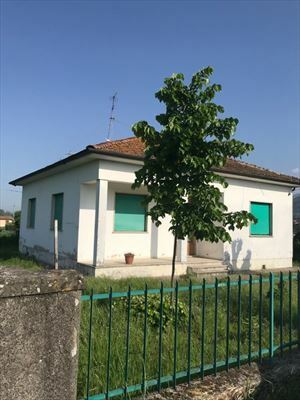 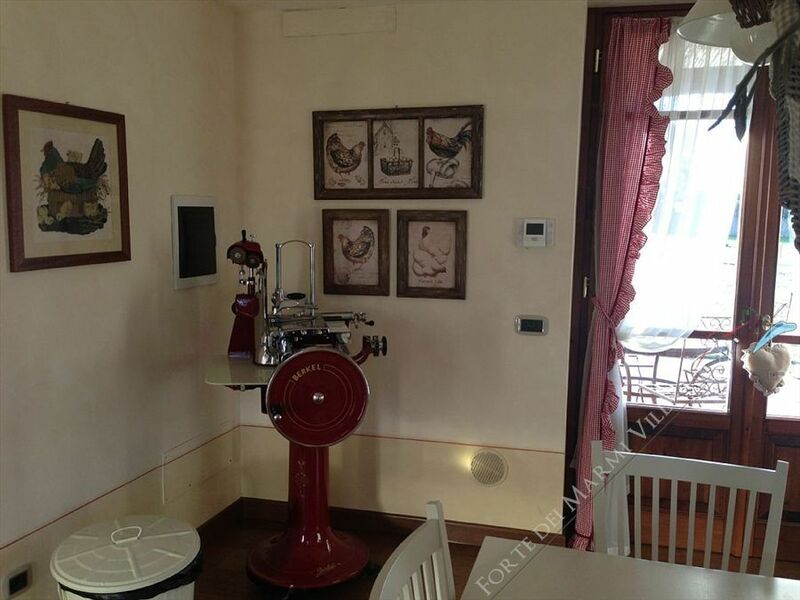 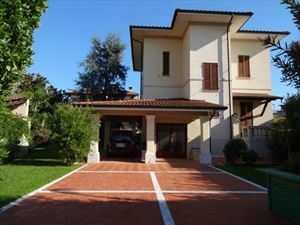 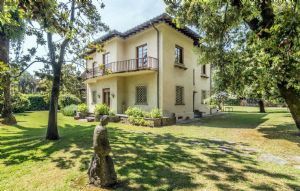 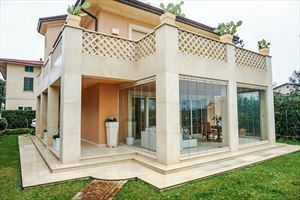 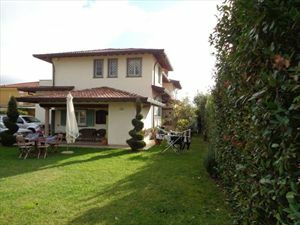 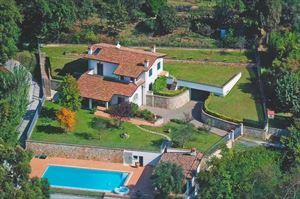 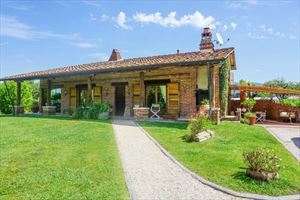 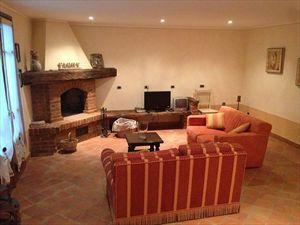 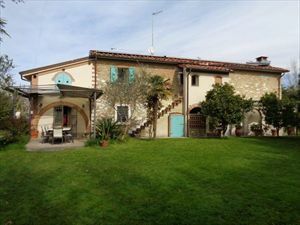 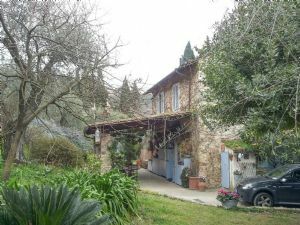 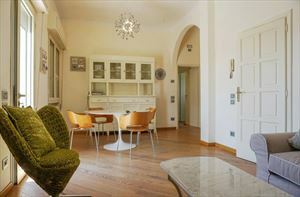 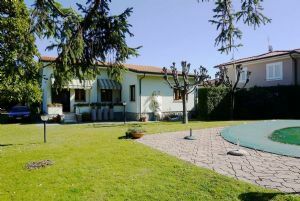 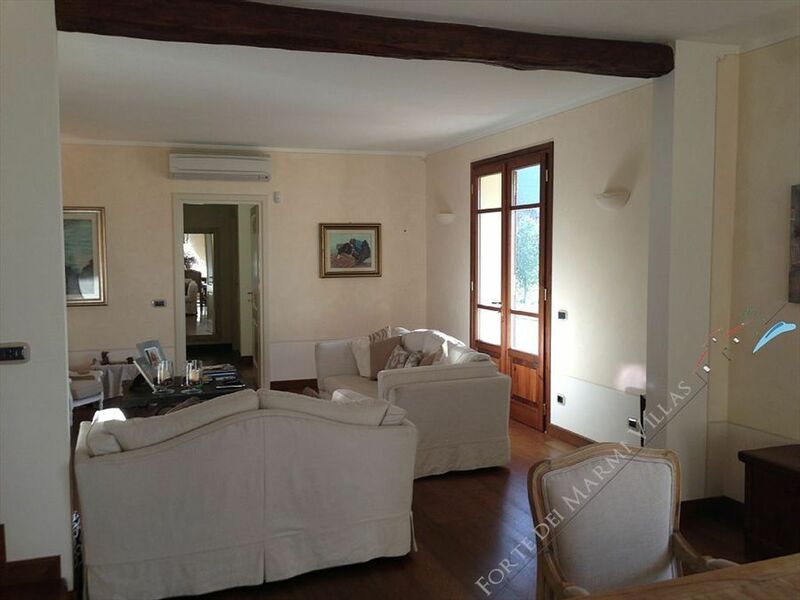 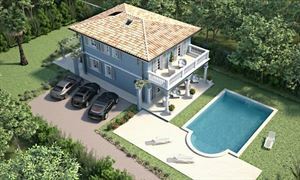 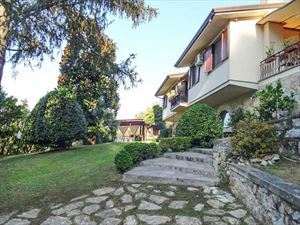 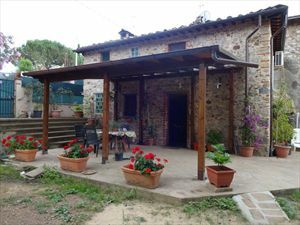 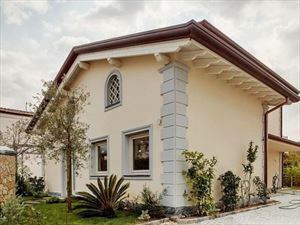 A detached, deluxe countryside villa (300 sq.m.) 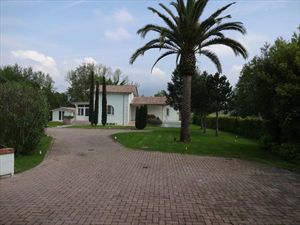 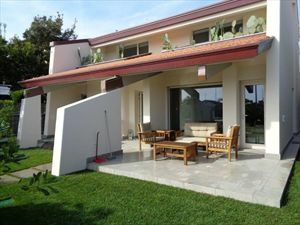 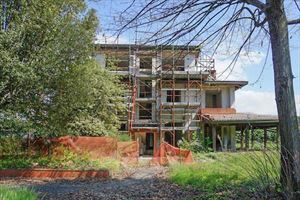 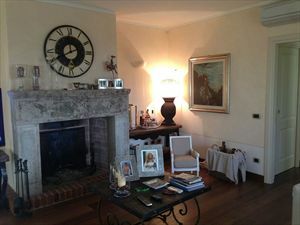 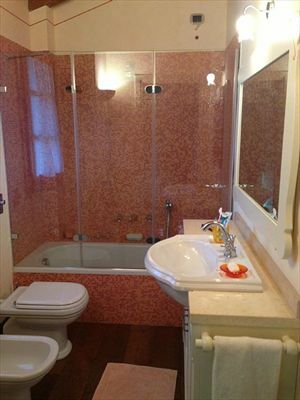 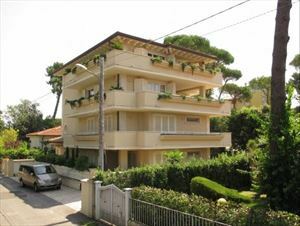 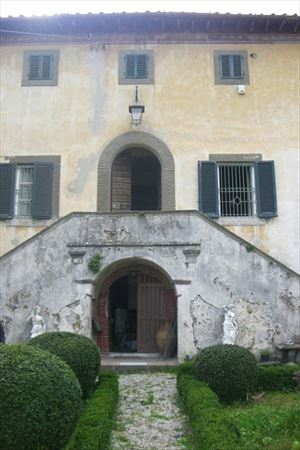 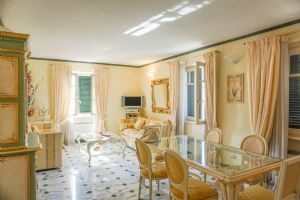 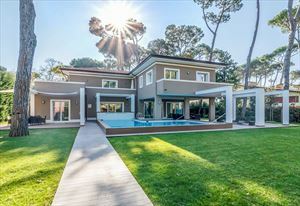 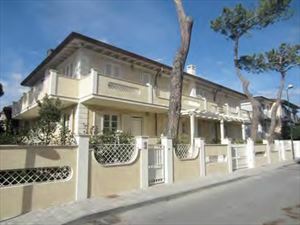 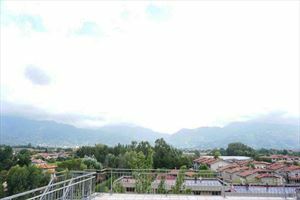 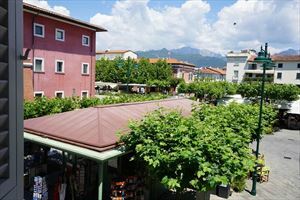 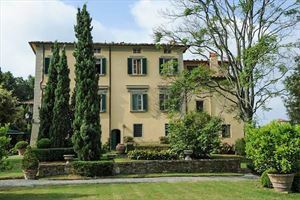 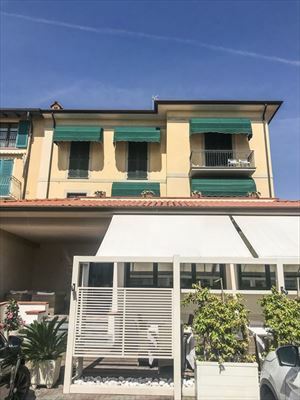 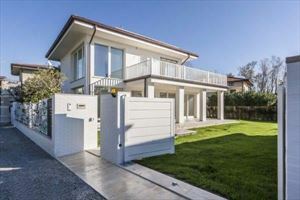 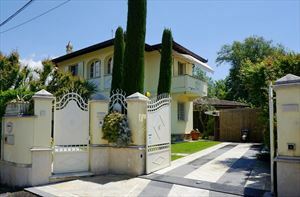 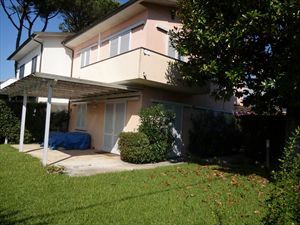 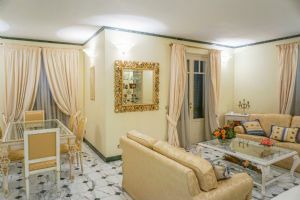 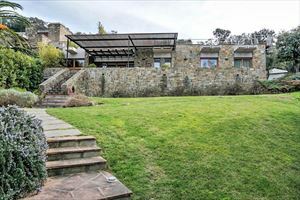 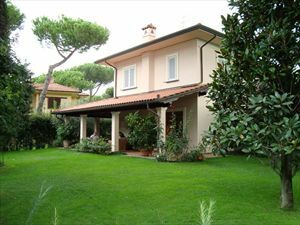 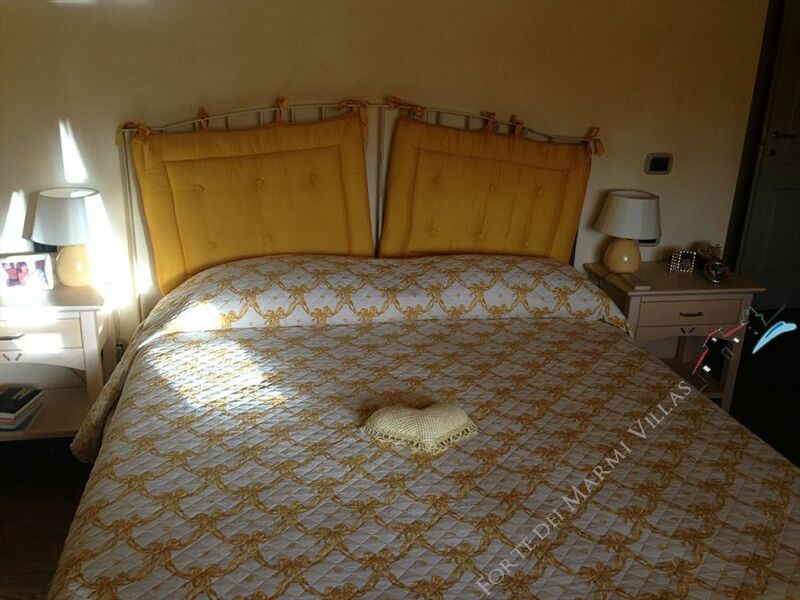 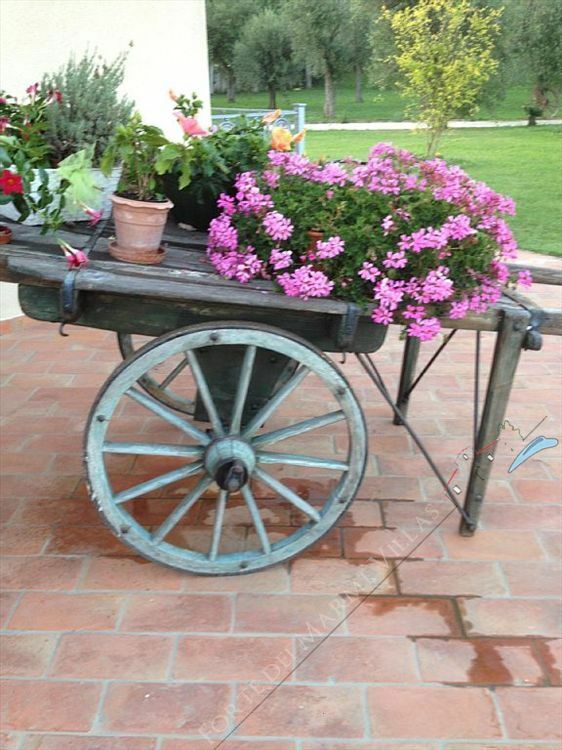 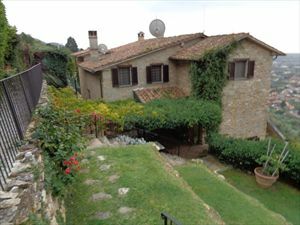 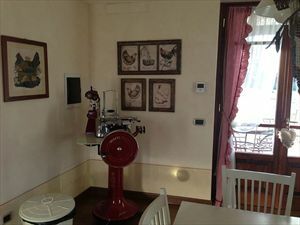 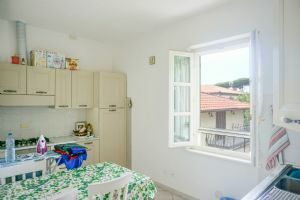 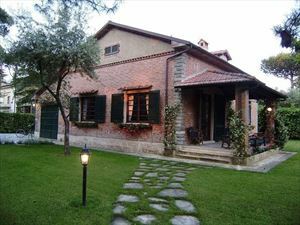 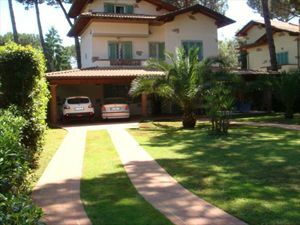 with a splendid garden (12 000 sq.m.) 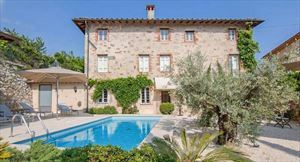 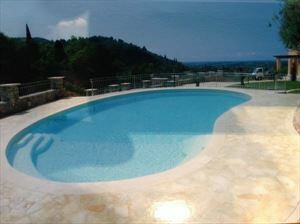 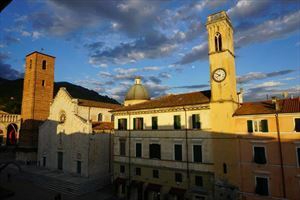 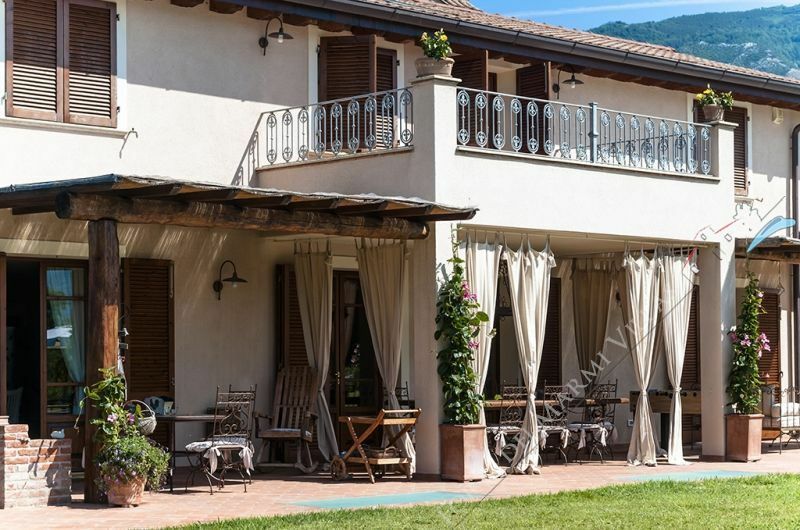 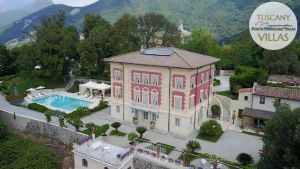 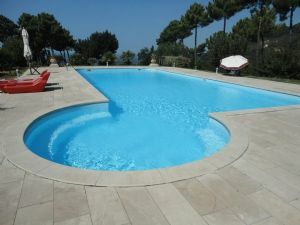 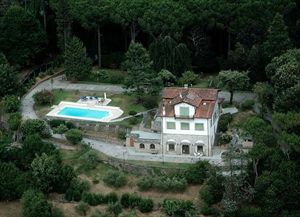 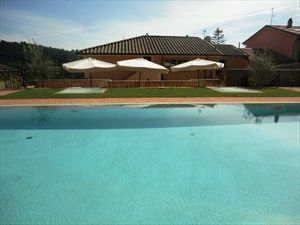 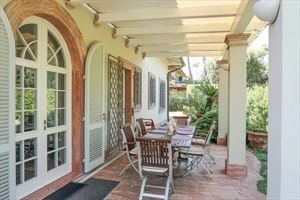 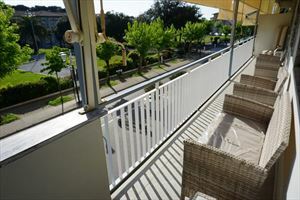 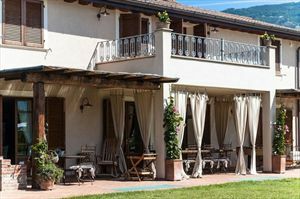 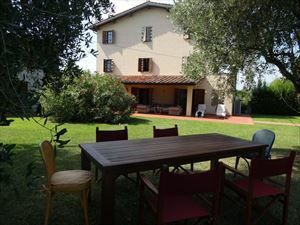 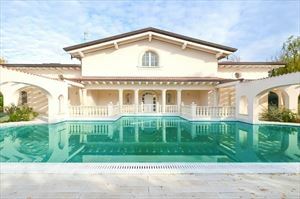 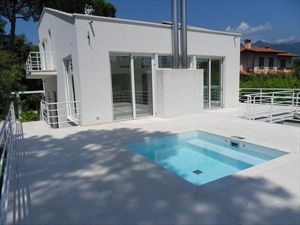 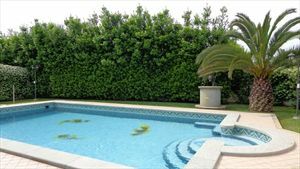 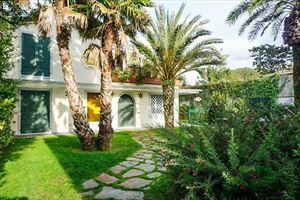 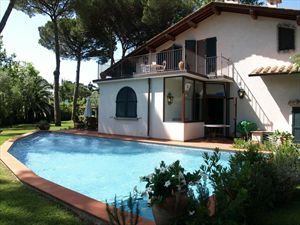 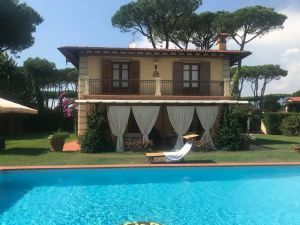 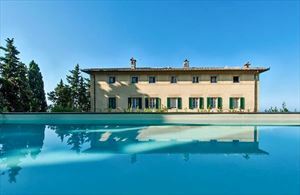 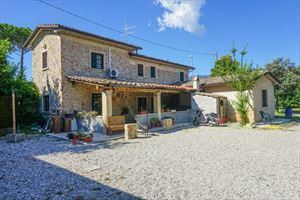 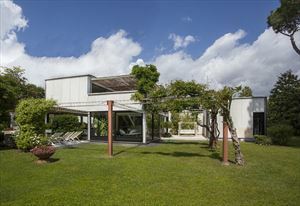 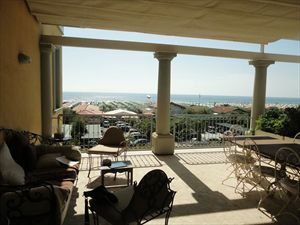 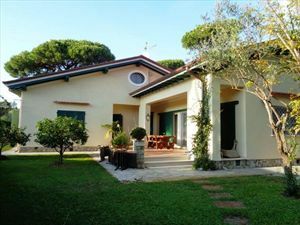 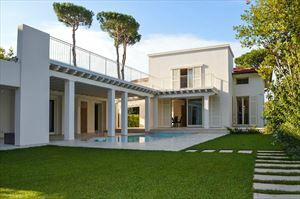 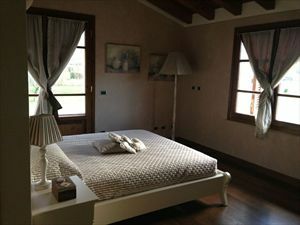 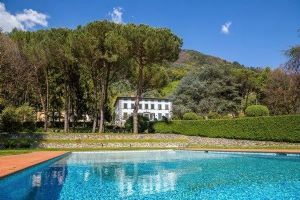 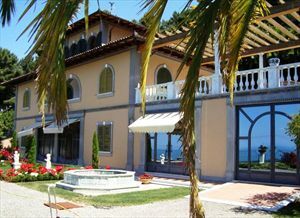 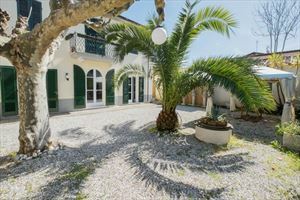 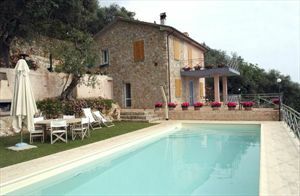 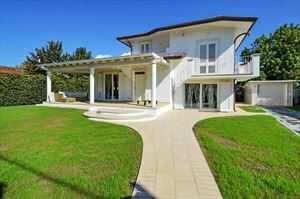 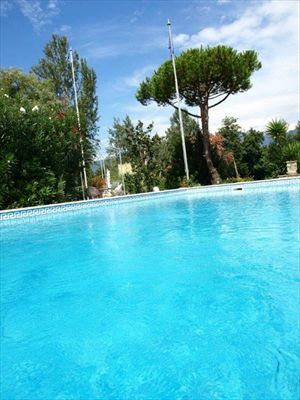 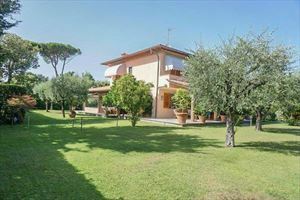 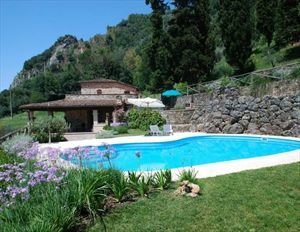 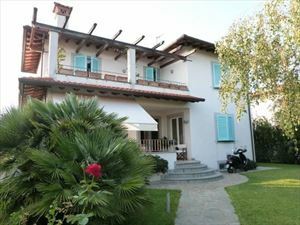 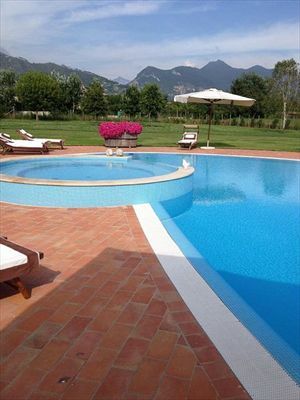 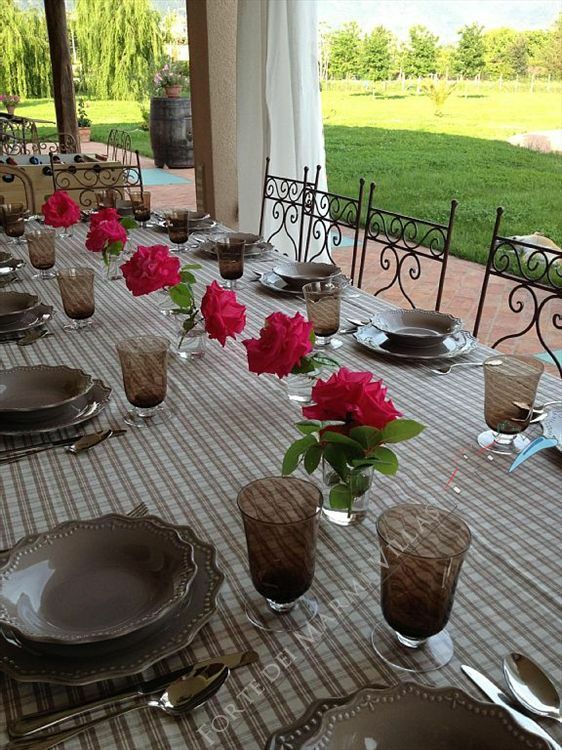 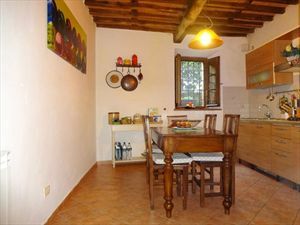 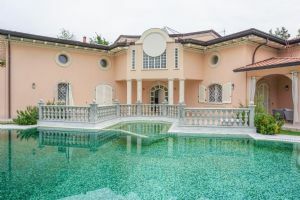 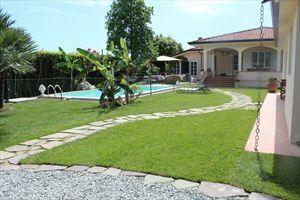 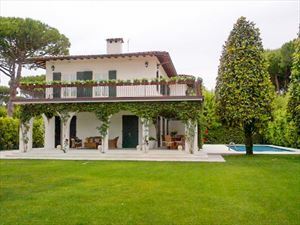 and a pool, located in a picturesque area near Pietrasanta at a distance of about 3 km from the sea. 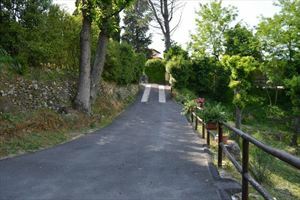 There is a golf club 600 meters away. 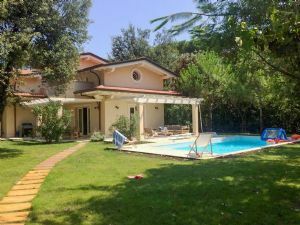 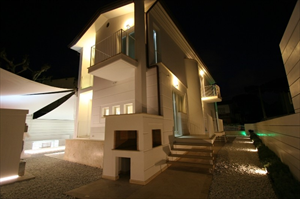 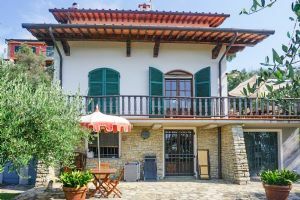 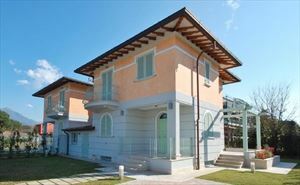 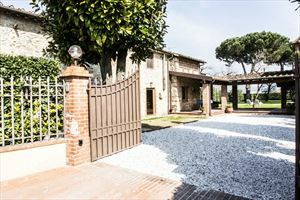 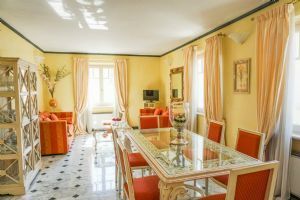 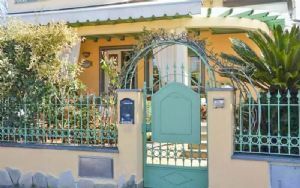 The villa is equipped with alarm system, air conditioning, satellite TV, Internet Wi-Fi, automatic gate, parking for several cars, barbecue. 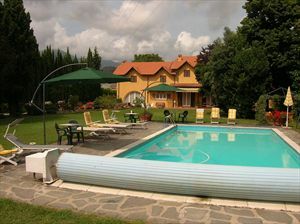 The villa benefits further from a volleyball court, tennis court, football field, table tennis, pool and a hot tub. 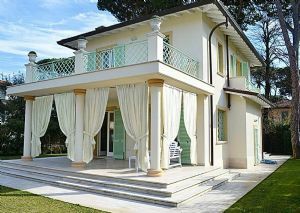 It’s a perfect place to stay with a group of friends or for a family vacation.